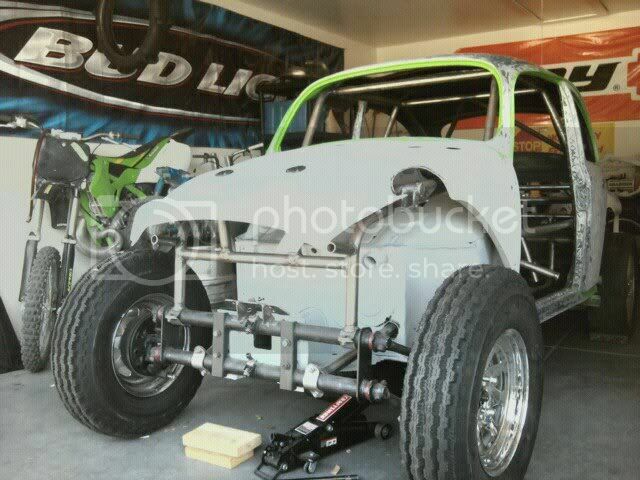 AzBaja.com, Home of the VW Baja Bug -:- Baja Forums -:- VW Volkswagen Bug, Baja, Bus, Sandrail and Thing -:- VW Volkswagen & Baja Bug General Discussion -:- where to find clutch slave install tips/instr.??? Baja Forums -:- VW Volkswagen Bug, Baja, Bus, Sandrail and Thing -:- VW Volkswagen & Baja Bug General Discussion -:- where to find clutch slave install tips/instr.??? where to find clutch slave install tips/instr.??? Post subject: where to find clutch slave install tips/instr.??? [b]Building my first baja and looking for where i can find some help on installing a clutch slave cylinder. im sure its easy and i dont have the slave yet but i do have the CNC pedals. I like those front tires- what brand/size are they? Where are you in Mesa? I've got the CNC clutch cylinder on my car. I didn't install it, but if you need to take a look at the install, give me a shout. I'm around Power/McKellips. Post subject: Re: where to find clutch slave install tips/instr.??? I'm not sure what else you have to do but a little heads up help before you get too far into your project. The front beam on a VW rotates, The Top Tube pushes to the front and the bottom tube to the rear of the car as the suspension moves up and down. The 2 tubes on top should not be going up (180 degrees) off the top of the tubes like you have it now. The beam will try and roll to the front of the car when it comes down and flex the 2 up tubes. The tubes will flex and crack or split and that would be bad. The bottom tubes normaly come off the lower beam at 90 degrees and the top tubes should come off some were between 45 and 90 degress of the top tube. The closer to 90 the better. Are you running a ball joint beam? (looks like you are) if so it would be a good time to change to a linkpin beam. It looks like you have coilovers in mind and you kinda limit yourself with a ball joint beam. [b] AZ350x-- that'd be real cool if i could come by and check out your set up. i live off lindsey and southern and i work right by you at falcon field. The front tires are mickey thompson BAJA PRO's. ordered the rears just havent came in yet. AZbaja- thanks for the advice, this is the first baja ive ever built and being only 23 i got alot to learn. i have fox nitrogen shocks front and rear. no coilovers yet, still have torsion springs in. we built the beam and i didnt know i could run linkpin on a balljoint car. but i guess i wouldnt see why not. What are the advantages? Being spending last 2 weeks prepping for paint. hopefully i can paint this weekend if it;s not gunna be a thousand degrees. we built the beam and i didnt know i could run linkpin on a balljoint car. but i guess i wouldnt see why not. What are the advantages? The frame heads are different- you can't just bolt an LP beam to a BJ pan (unfortunately). BUT- a guy here on this site AND located just a couple miles from you here in Mesa actually makes an LP beam that WILL bolt to a BJ frame head. The main advantage of LP is simply travel. The design of ball joints makes them pretty limited travel-wise. If you do work them hard, they can fail. Link pin by design are considered stronger, and do offer substantially more travel. The beams are not the same, you will have to mod the front end to the link pin beam. But if you are going to correct the problem with the upper suport bars it would be a great time to put in a link pin. Ball joint beams (Ball Joints) have limits. it will only move up and down so far. Think about some one chicken winging your arm. The ball socket will only let it move so much before it binds or hurts stops or breaks. Link and king pin beams are built with big metal dowls so you get 360 degres of motion in one plane of movement. Ball joints get 45 degrees (Could be more or less, number pulled out my) in 2 planes of movement and 360 degrees of twist within the 2 planes of movement. Problem is none of this is in the plane of movement you need for good off road wheel travel. It is good for street and handling but off road you want as much movement you can get in the up and down plane and that is what link pins give you and thats a good thing for off road. Don't know if you got it or not, but I sent you a PM a couple days ago. I'm home all weekend, so that's an option too.